Two things I dont trust in this world: stupid people and candy that kids don’t like. Stupid people, like these idiots, are a given. Candy that kids don’t like is harder to decipher. We all know that kids have, by definition, crazy young taste buds and sugar is literally the only thing that tastes good to them. And really, how many candies have you tried that kids don’t like? Drop out fine chocolate with nuts — they hate those. But, let’s say…gummies. Have you ever met a kid that didn’t like gummies? The colors and the shapes alone get them excited. Well throw out all your misconceptions. Because these puppies don’t pass the kid test. 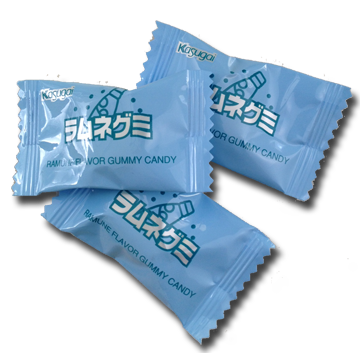 Kasugai Ramune flavored gummies are exactly what you think they’d be. 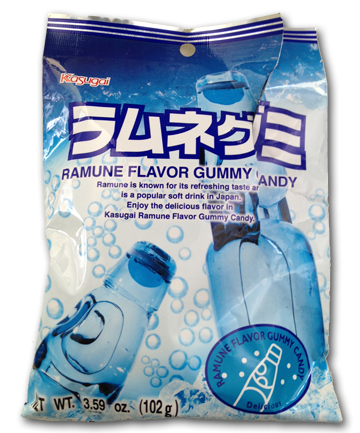 You know, Ramune flavored! Oh what’s a Ramune you ask? A cool bottle of pop (or “soda,” if you live on the West Coast) that has a marble at the bottle top that you pop in before drinking. Fun and games! The Ramune soda original flavor is lemon lime, but it comes in many flavors now. And a lot of weird ones, like curry. Yeah, CURRY. I think the candies are lemon lime. They don’t necessarily taste like it unless you think “these are lemon lime flavored” when you eat them. 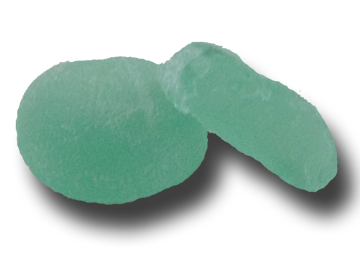 The color sorta says lemon lime, and definitely not some of the other flaves, such as banana or chocolate. I’ve had the actual Ramune soda and liked it. Maybe mostly for the novelty. Yet, the candies are just OK. As I said already, the kids didn’t like them. At all. In fact, they spit it out. A spitter! “Tastes like a small bar of soap,” one said. “That’s why there are bubbles on the package,” said the other. Not for me. Maybe for you? Buy them from Amazon at the link below.